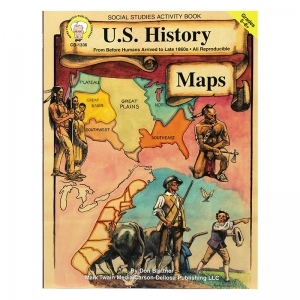 From the ice age to the admission of the 50th state, enhance the study of any era in U.S. History. 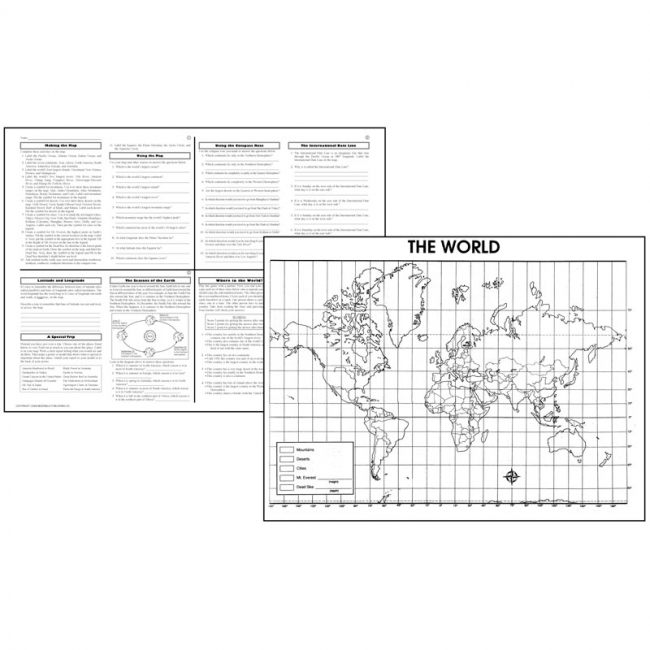 Maps are designed to be easily reproduced, projected, or scanned. Classroom activities and brief explanations of historical events are included. Perfect for display or classroom activities, this U.S. Jumbo Map Pad includes 30 sheets (16" x 10.75" each) with labeled states and state capitals. 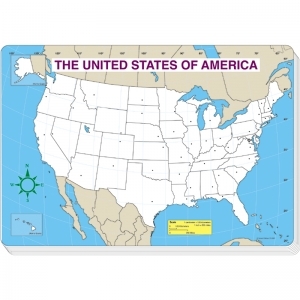 Perfect for classroom activities, this U.S. Jumbo Map Pad includes 30 sheets (16" x 10.75" each) with all the states left blank for testing. 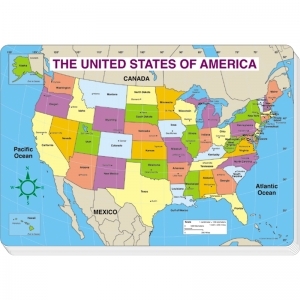 This magnetic puzzle of the United States encourages learning with beautiful magnet state pieces! 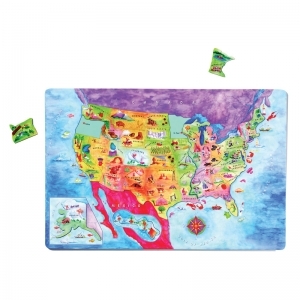 Children have fun discovering the wonder of geography while learning about locations, natural wonders and capitals. 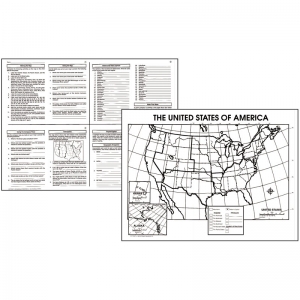 State puzzle pieces adhere securely to the double-sided magnetic 12 x 18" playboard. The set comes complete with an activity sheet loaded with fun facts and state-by-state information. 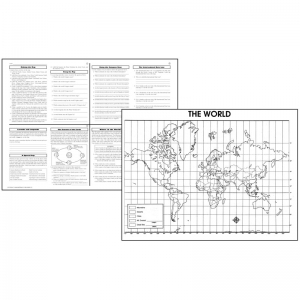 An updated and expanded version of The World Blank map Forms. 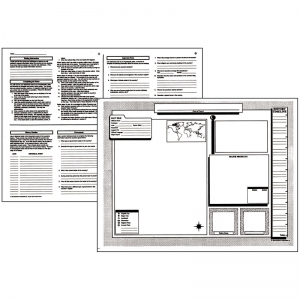 You get 92 maps in all, including physical maps, political maps, and blank maps for students to fill out. Just a few of the maps included are of the world, individual continents, Canada, United States, Mexico, and U.S. regions. Also included are evaluation forms, a crossword puzzle, a word search, and an answer key. 112 pages. Updated and expanded! Now features geopolitical maps of each of the fifty states; political maps of the six regions; and political, physical, and thematic maps of the United States. Also includes fun facts, geography bee-type questions, review pages, evaluation forms, a crossword puzzle, a word search, and an answer key. 128 pages. 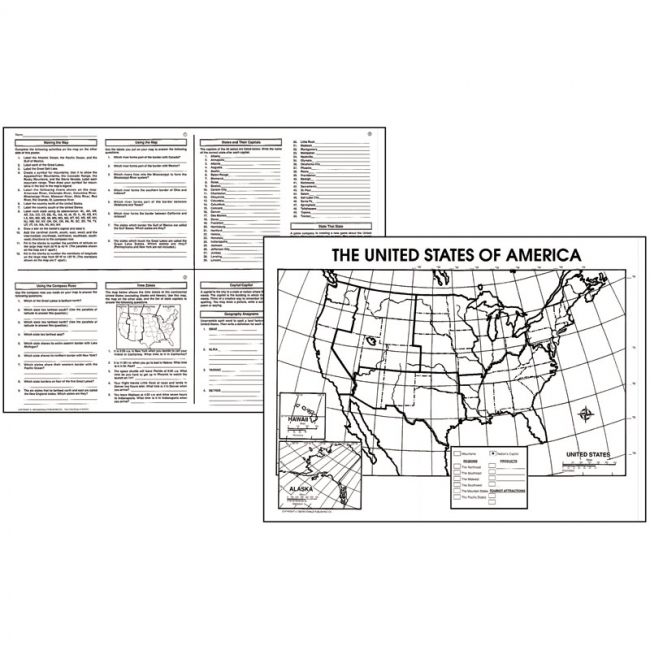 This 22 x 34 poster map features a map of the state with neighbors, cities, counties, and landmarks plus state symbols, a state timeline, geography and history information, and lots more. 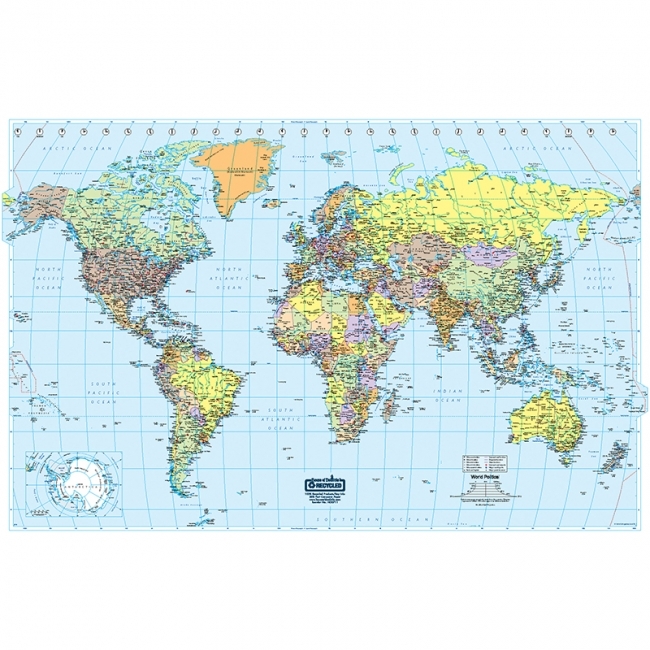 Map Features: Colored Countries, includes national capitols, major cities, rivers, time zones, and major peak elevations. Heavy lamination will last for a year. Wipes clean with damp cloth. Includes water soluble marker. 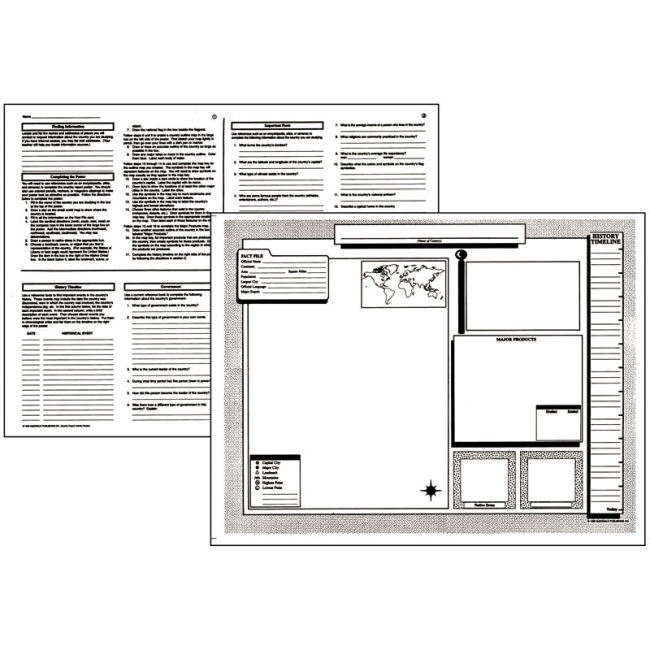 Ideal for use in classrooms, shipping departments, and offices. Printed on 100% post-consumer recycled paper with soy ink. Made in the USA. 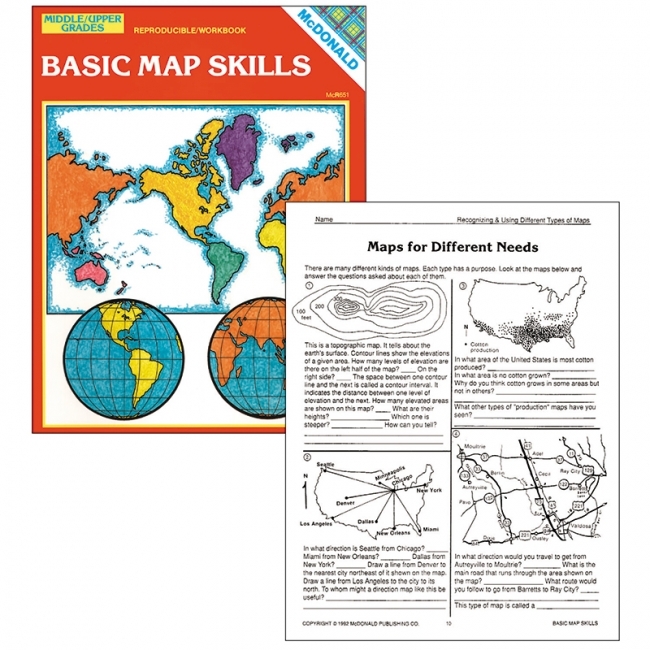 Students learn basic map skills as they label the continents and oceans, identify hemispheres, work with latitude and longitude, learn map vocabulary, and much more. Thirty 17" x 22" copies per set. 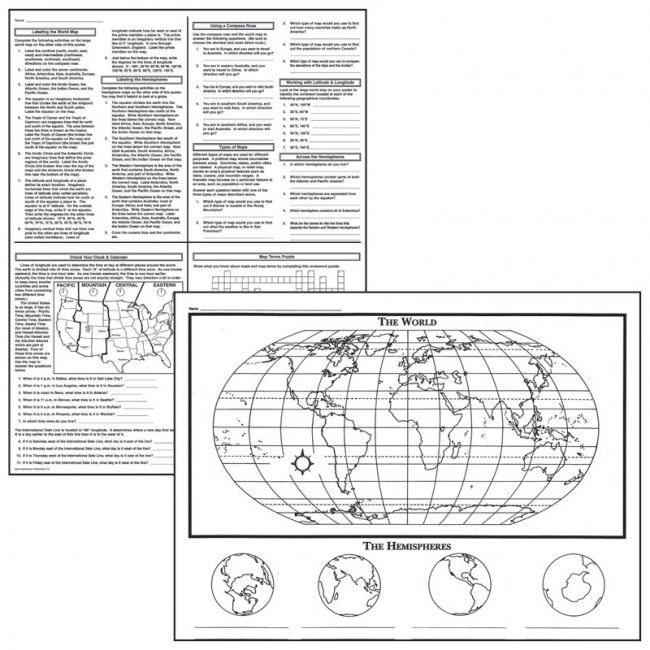 Package includes instructions for completing the posters, related activities, and a teacher's guide. Teach students geography basics with these unique posters. 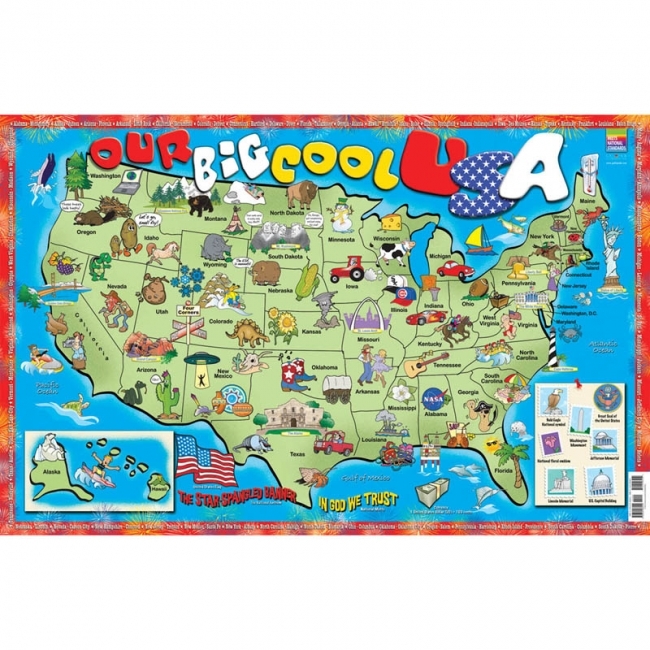 As students complete and color these large world maps, they learn about lines of latitude and longitude, rivers, deserts, mountain ranges, major cities, time zones, and more. 30 copies per set. 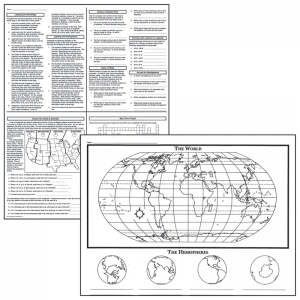 Package includes instructions for completing the posters, related activities, and a teacher's guide. Here's a colorful way for students to learn about states, regions, rivers, time zones, and state capitals. 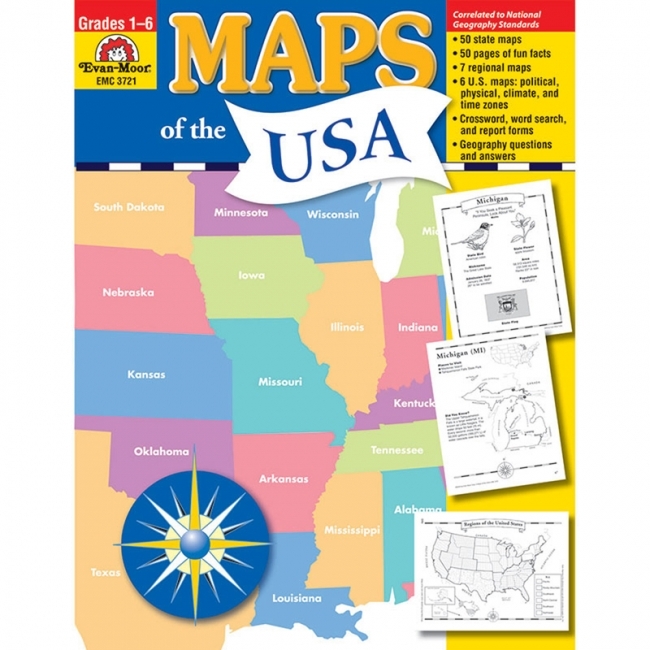 To complete these posters, students label and color their own large maps of the United States. 30 copies per set. Package includes instructions for completing the posters, related activities, and a teacher's guide. 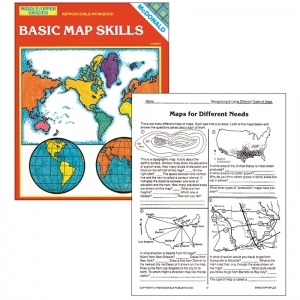 Teach students how to read different kinds of maps. 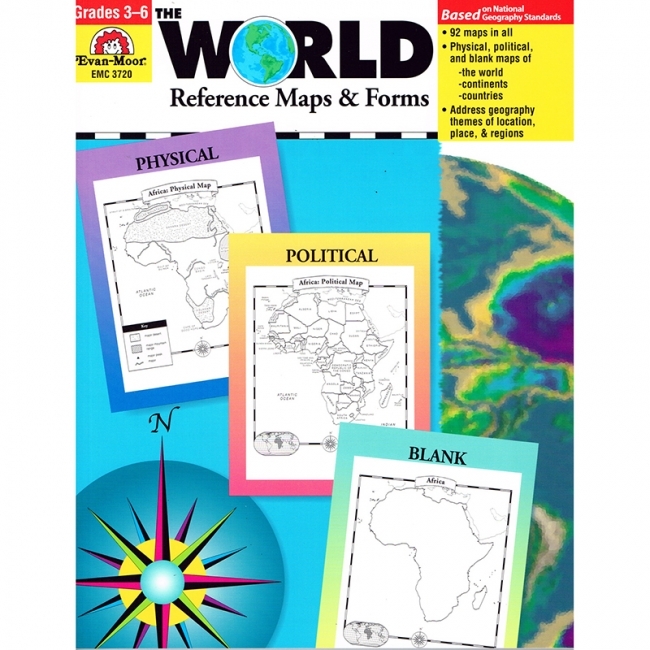 Exercises focus on compass roses, latitude and longitude, time zones, landforms, types of maps, and more. 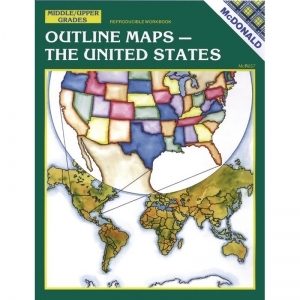 Includes local, U.S., and world geography. Grades 6-9. Twenty outline maps of the U.S. and its regions, along with corresponding activities that focus on borders, capitals, landforms, population, bodies of water, and more.